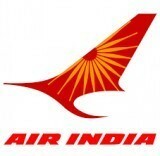 Air India is the national flag carrier airline of India, founded by J.R.D. Tata on 15 October 1932 as Tata Airlines. It is currently possessed by Air India Limited which is a government-owned enterprise. Air India Cargo, Air India Express, Air India Charters Limited and Air India Air transport services are the subsidiaries of Air India airlines. Book domestic as well as international flights at lowest prices and get best services from Air India. It has become the best-known airline company in India by providing high-quality services to the passengers. You can check-in through any of web, kiosk or mobile. Airline Classes: There is basically three-class cabin structure in Air India which includes First Class, Business Class, and Economy Class. Air India Aircrafts: Boeing 787 Dreamliner, ATR 42-320, CRJ-700, Boeing 777-200LR, Boeing 777-300ER (77W), Airbus 319 (Single Configuration), Airbus 319 (Mixed Configuration),Airbus 320-231 (Classic), Airbus 320-214 (New), Airbus 321, Airbus 330-200, Boeing 747-400 are the aircrafts serving in Air India airlines. Destinations: Air India airlines have International flights for 31 destinations and domestic flights covering 60 destinations within India. Air India takes care of their passenger that’s why Air India serves different meals to vegetarians, non-vegetarians, and infants. Proper Medical assistance is available in every flight of Air India. Endless entertainment is provided in the flight with an in-flight entertainment screen. You can watch hundreds of movies and listen to your taste in music. Special attention is given to pregnant women, elderly people and disabled passengers by Air India. Wheelchairs are also available on the flight. Parents need not worry if their child is traveling alone in air India airlines. They provide special care to children traveling alone and mothers who are traveling with infants. Download the Air India mobile app as it is very efficient and easy to use. Air India Mobile app has made online flight bookings quick, easy and convenient. The revamped app fulfills all the growing demands of mobile services in India. This Mobile app is available on both Apple App Store and Google Play store. In addition to this, there are a number of merits of using Air India Mobile application. Flying Return is India's first frequent flyer programme initiated by Air India. Once you become a member, earning FR points and redeeming them will make you save a lot of time and money. It is a highly rewarding concept brought by Air India. One can earn FR points depending on the booking class. There are innumerable benefits and privileges of becoming a base member of Air India. Depending on the FR points earned one’s premium club is upgraded and is allowed to avail extra perks like additional baggage allowance, priority check-ins, bonus points and many more. For all the passengers who want to enjoy extra benefits, Air India has three premium clubs. All these premium clubs have different advantages depending on the number of FR ie Flying Return points. A ticket refund can be applied only if it is partially utilized or totally unutilized. The refund can be requested only within one year after the expiry of the validity of the ticket. There are certain conditions on the ticket refunds depending on the mode of payment. 1) CASH: If the payment has been done in cash, then refunded amount is sent to the address mentioned by the passenger. 2) CREDIT/DEBIT CARD: If credit/debit card has been used for the payment, then the refunded amount is credited back to the same credit card account. 3) CHEQUE: When the payments are made through cheques, then the amount are refunded back to the address specified by the passenger. 4) DIRECT DEBIT TRANSFER: If the payment is made by the direct debit transfer from the bank account, then refund is transferred to the same bank account. The refund is generally processed immediately in normal cases but takes a minimum of twenty days in case of a credit card bank transfer. It is important to note that cancellation and refund rules differ for different fare types. USE AIR INDIA DISCOUNT COUPONS FOR TICKET BOOKING AND SAVE BIG. Air India offers many exciting deals through which you can save while booking a flight ticket. You need not find these deals from Air India website as all the rebates offered by Air India Coupons are published as it is at Dealsshutter.com. Our main aim at Dealsshutter is to help you save every single penny that can be saved. Promotional codes are available at Dealsshutter which can be applied on the main website to avail discounted ticket price. Also, you can avail super cashback through various wallet offers like payment, Mobikwik etc.